Black & white are usually my two most go-to polishes when stamping. But until recently, I didn't have any specific stamping polishes in black and white. I've made do with other polishes for stamping - my go-to are usually Essence's black and white polishes - but they don't stamp with the full, intense opasity that stamping polishes usually do. 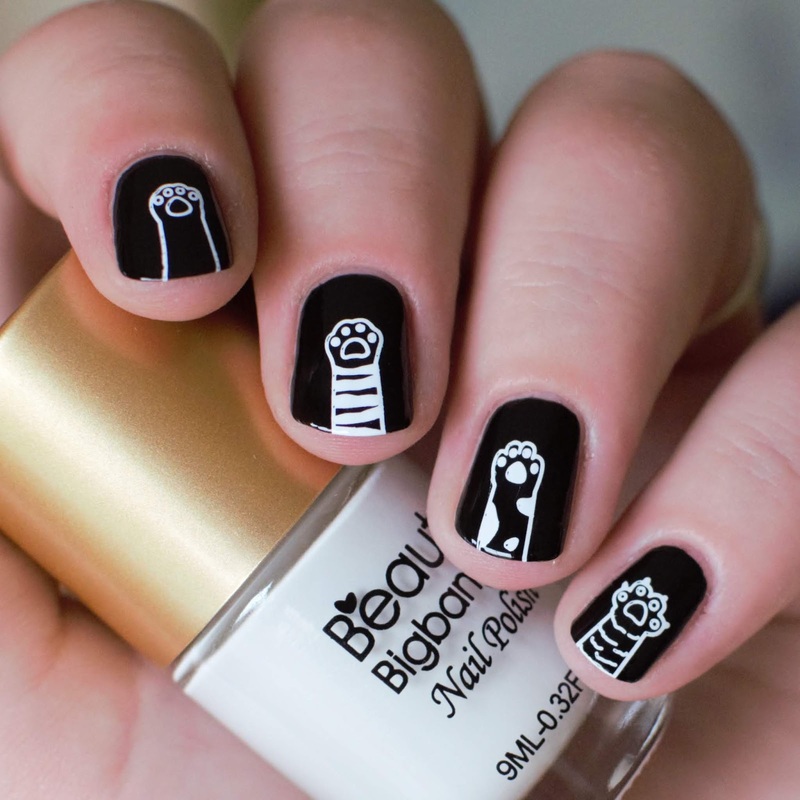 I recently got Beauty Big Bang's black and white stamping polishes and I adore them! If you do a lot of stamping, like I do, then I've come to the conclusion that you should own at least a black and white polish that's specifically formulated for stamping. These two polish are super opaque, when applied as regular polish that are basically one-coaters and they show up stamped designs amazingly no matter what base colour you're working over. Tips: these polishes are super strong-willed against nail polish remover, it's best to have a super strong one to clean up around the edges, because using weak polish remover just kind of smeared the polish around. Alternatively, I've prefer using a peel-of latex barrier around my nail (so I don't have to clean up as much with polish remover)... 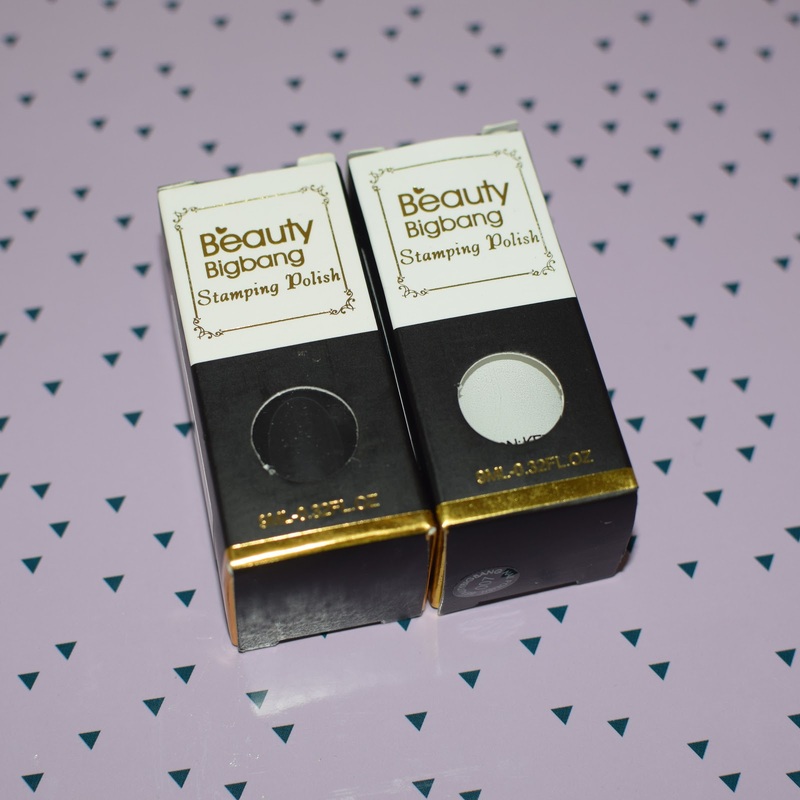 I know that Beauty Big Bang has one - which I haven't tried yet, but plan too at some point soon - you can buy the black and white polishes with the peel off barrier as a bundle of all three.